Hey everypony! Friendly neighborhood admin here! I'm going to be starting a new series of articles here called The Workbench. In it, I'll be detailing some of the board systems I'll be working on and what you guys can expect to see on Canterlot in the future. This is all in an effort to maintain transparency with the administration and good relations with the users that make this board what it is. Let's get started! We're making a concerted effort to streamline things and ensure timely evaluation of applications and rapid action of approved applications. You may have noticed a slight change in how staff members are denoted in their profiles. RP Staff and Senior RP staff now have their own user ranks, making it easier to distinguish who to go to for help with applications, RP, or board policy. There have also been some back end tweaks to staff permissions to allow them more freedom to assist users as necessary. Work on the new permission sets is still in progress. In order to prepare for deployment of donations/subscriptions, the Donators group will need to be repurposed and moved to a secondary set (ie: not displayed as a user rank). Don't worry, if you have donated to Canterlot before, we haven't forgotten you! I've got a list of all prior donors and rest assured you will be recognized when the new stuff is deployed. Until then, you will be returned to your previous member rank. Any previous board-based donor perks such as the ability to change display names will be retained if possible. And that's it! Hope you enjoyed this peek at projects on my workbench! Follow this blog for updates on my Canterlot projects! Sailors on airships tell many tales of ghost ships. Their sailframes are made of cobwebs, their masts rotting and decks rusted but somehow still afloat. Through the skies and seas these derelicts drift, borne on currents of air, ocean, and aether. Some say that they are crewed by the souls of the ****ed, others dismiss them as merely products of fiction, mirage, and inebriation. Still others pursue them relentlessly, enticed by tales of fabulous riches and magical treasures on board. Regardless of what you believe, word has reached you by mouth or print that one such ghost ship as appeared nearby. Somewhere in the Equestrian northern frontier territory, west of Stalliongrad, is a massive airship of unknown origin. It is currently caught in an unusual set of air currents in the mountains near the Trensal River. The knight in sour armor. When he was written, Virtue was a prototype for knight-themed ponies and the order that they were to be part of called the Destriers. This was all well and good, save that creating an organization for him to be a part of caused some issues with board lore and primed several character concepts for drama later. The original intent for the Destriers were to be paragons of good, an order that upheld chivalry and discipline in both mental and physical forms. But along with that noble intent came the restrictions of race and of class. To be honest, the proposal should never have been allowed to stand, but times were different back then. Virtue's core character was that of an individual with a hard edge who had suffered defamation of his character for the choices that he made in life; choices that he thought were morally righteous at the time. In terms of WOE canon, this would never pass muster today. The backstory is tragic, but upheld Virtue as a paragon and the world as the aggressor. When I write and critique characters now, I make sure that the character is held accountable for the choices that he or she makes. He or she should not simply be the victim of happenstance. There were a number of other issues with the character sheet, such as lack of a cutie mark story, possession of a deadly weapon, and martial training in the absence of conflict, but those could be ironed out with work while the character development flaws would require a fundamental rewrite. I'm juggling new concepts in my head for Virtue for a pending rewrite. I've been listening to a lot of Johnny Cash and Brother Dege lately and I think I have some idea of what I want to do with Virtue. Virtue's core character is that of a hard-edged survivor and determinator. His legendary will to succeed will remain a part of the character. The things that will change will be the history. I can see him growing up in a dingy town like Beakbreak City in the working class. He earns a working wage helping his family make ends meet, but eventually decides he needs to move on to bigger and better things. He leaves the family behind to pursue his own fortunes, which he succeeds at. But when he returns, the family's fortunes have faltered because of his abandonment. Virtue will be held accountable for his decisions, decisions that benefited him, but damaged his relationships. Heartbroken, but determined to make things right, Virtue hits the road, seeking to both bring his family back together and help others be happy. His journeys take him to a Destrier monastery, where he figuratively "finds religion" and a renewed sense of purpose. All these concepts are obviously subject to change, but character development is neither linear nor deterministic. Hopefully, this gives you guys some insight into my character creation process and how my views on it have changed over time. As of 14-December-2012, Chapter 6: The Drop is online! After some review work, I’ve decided to split the final incoming chapter of this run to help with event flow and to improve readability. In addition, to build some interest on the interwebs, I will be moving up the release of Para bellum to EQD. The other chapters have also undergone some tweaking to improve word flow and to cut out filler. It should read more smoothly now. ~ 22-Dec-2012: Submission to Equestria Daily after revisions, aggressive proofreading from trusted associates, and polishing of extant chapters. In addition, today kicks off review weekend for Para bellum! Prereaders, report to battlestations! Learning on the job has its ups and downs. On the plus side, it makes me love learning again. I feel like I'm getting things done and making magic happen. 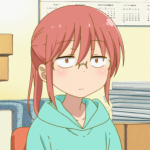 On the other hand, I hate looking like an idiot, especially when someone asks me to improvise a solution or try something they falsely assume I know how to do just because of my degree. I've been slowly picking up the ropes of proper web development while working for my alma mater and once again, I've discovered that, like creative writing, my biggest problem is pacing. I don't learn well in a lecture environment. I can't concentrate on someone yammering on and on for hours on end, even if the subject interests me. Instead I learn best when I am able to freely roam through software and functional code, learning by example and figuring out what does and doesn't work on my own. I've found my retention rate to be much higher when I'm allowed to tinker on my own than with someone looking over my shoulder. In the same way, when I'm saturated with ideas and throwing scraps left and right, I feel like I get more story written than when I sit down with the intent to forcibly churn out story. Unfortunately, as the FiMFiction.net writing contest flop proved to me, I can't always count on inspiration to hit me when I need it. In the next week or so, I'm going to attempt to get back into RPs after forcibly freezing them for the contest. Hopefully, that will get the creative juices flowing again and put be back in the swing of things. Hopefully. You may have seen my latest fanfiction project, Paladin, on both FiMFiction.net and Canterlot.com's fanfiction section. Now I know what you're thinking; not ANOTHER human in Equestria story! Not ANOTHER blatantly obvious, poorly-written self-insert! Stigma is always a problem, but I assure you that's not my intent. Paladin is meant to be a continuation of an epic I've been intending to write for MLP since before FiM was a thing. 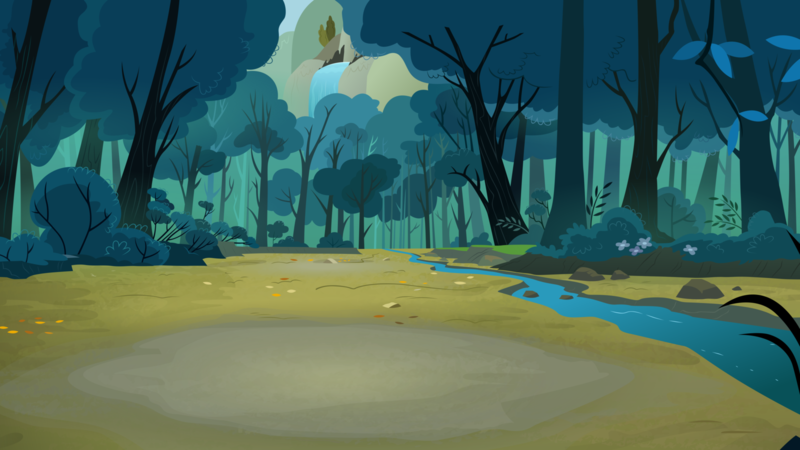 The adventure will span two worlds and involve both humans and ponies. I aim to both tell a story and craft characters, good characters, giving them the loving attention they deserve. These are living, breathing characters and I hope to tell their story rather than simply using them as playthings. It is an ambitious project for me, as I have done more one-shots than anything else, but I want to at least use it to stimulate my creativity and force myself to write well. But enough of that. I'm here to give you a preview of sorts of the setting for Paladin, at least the side that takes place on earth. As a world-builder, I love this sort of stuff and I hope you will, too. Located between Mazar-i-Sharif and the Uzbek border, Bal-Khaled is a sleepy, riverside farming town in northern Afghanistan. The presence of a large river tributary and favorable climate have made it a hot spot for opium farms and heroin labs. Its proximity to both the Uzbek and Iranian borders also make it a prime area for illegal crossings and a way station for foreign fighters entering Afghanistan. Thus, Bal-Khaled is a hotbed of insurgent activity in an otherwise secure area of operations. Three companies from US Army 3rd Battalion, 17th Infantry Regiment (Stryker) of 2nd Stryker Brigade Combat Team, 2nd Infantry Division have been assigned to the region, patrolling for border activity, sweeping for IEDs, destroying opium fields, and searching compounds for insurgents and their assets. The Stryker battalion is supplemented by ODA 739 from the US Army Special Forces and their compliment of both direct action operators and psychological operations professionals. A number of support assets from the US Air Force and ISAF member nations are also on hand. In recent days, the intensity and frequency of attacks on both civilians and ISAF units in the area of operations has increased markedly. With the pending withdrawal of all US combat forces from Afghanistan, ISAF commanders are understandably concerned for the region's security. Cordon and search missions as well as drug stings occur now on an almost nightly basis, with Alpha Company of 3/17 Stryker spearheading the operation. Morale is high, as each night brings newly captured insurgents, better intelligence, and perhaps even a glimpse the operators of ODA 739 in action. But something isn't quite right about 739's operations. The operators seem to have little interest in drug busts and apprehended insurgents. They are searching for something, something that does not belong. But as always, their exact target is classified, leaving the "regular joe" soldiers of 3/17 Styker to scratch their heads and speculate wildly. Captain Fletcher gently set his empty pint glass down upon the wooden booth table as he spoke, nudging at it with his magic until it slowly wobbled and worked its way out of the milky pool of light cast by the faerie lantern above. The strikingly blue unicorn eyed the ruddy pegasus stallion across the table with a mixture of quiet curiosity and healthy suspicion. Astutely aware of his observer, the older stallion merely sipped his drink, a distinct aura of smug nonchalance—outright arrogance even—subtly coloring his demeanor. His salt and pepper mane and subtle wrinkles reflected his age, but his frame suggested much tougher military service than he currently occupied. The smooth solidity of his movements gave ample indication of his alertness and vitality. Old he was, but over the hill he was not. Fletcher glanced out the window as he spoke, idly watching the fluffy white flakes fall outside. The windowpanes were frosted over with condensation, blurring the already ethereal yellow glow of the gas lamps in the streets with crystalline iridescence. The unicorn twirled his empty pint glass with the soft violet glow of his magic, mindful of the chill outside. As if to underscore the thought, the aetheric tendrils reached out, gently adjusting the lay of Fletcher’s ushanka, scarf, and topcoat on the rack at their booth as they dried from their prior excursion in the snow. Fletcher shook his head. It was hopeless. The old warhorse talked in circles. He was arguably more arrogant than Fletcher, but there was no denying that his wit was as sharp as ever. As much as Fletcher hated having an OPCENT watchdog looking over his shoulder, he was certain that Aristotle’s skills set might become useful later. But for now, having a snarky, wisecracking observer was going to be quite the thorn in his side. “If you’re going to keep this up, I’m going to be another drink,” Fletcher tossed over his shoulder as he departed the booth for the bar. The Iron Saddle Tavern was less a tavern and more a cozy hideaway for the middle-class citizens of Stalliongrad’s Island District. Atypical of establishments of its kind, the interior was spacious and airy. Private booths, tables, and sitting areas were illuminated by soft lightning divided by virtual cordons of shadow. The usual miasma of tobacco smoke was strangely absent, which was a cause for shock to many a working-stallion on his way up the corporate ladder. A large fireplace with stone mantle adorned with Matroyshka dolls, wool ushankas, and miniature painted pewter replicas of Ostrov’s multicolor onion-dome spires stood in the center of the great room, warming the entire hall with its glow. Though a distinct, smokey pungency lingered in the hall, any hazardous smoke was directed up and away from the sitting area by iron ductwork. The bar itself was set by a standard hardwood counter, polished and varnished to a sheen, but still showing plenty of nicks and dings from the wear of biersteins, shot glasses, tumblers, eating ware, and less than sober patrons’ hooves. Row upon row of liquors and flavorings lined the back wall of the bar, sporting fare from as far away as Aquellia and Unyasi. Less harsh spirits occupied their own rack in the corner, housing dandelion wine from Solstice Heights and Garden Gait’s famous Riesling, as well as more arcane brews from Canterlot proper. But while the foreign liquors were plentiful, the local fare took center stage: a poster for Stallianoya, the finest in all Stalliongrad, fit for a princess but strong enough for the working-stallion, so the slogan went. A smattering of half-empty bottles labeled with less prominent brands peppered the center stand. Finally, the taps with faded labels running to kegs of various local and imported brews occupied the center of the counter, standing watch over patrons eager for some time off. All of this passed quietly under Fletcher’s watchful eye as he slid onto one of the cushions at the counter and idly tapped his hoof on the counter. The bar was run by a grizzled-looking hippogriff who tended to patrons’ requests with speed, efficacy, and a certain elan that could only come from a native Stallian well-acquainted with his drink. “Barkeep, Caballo’s and tonic, easy on the tonic,” Fletcher said, ordering his old standby of gin and tonic in the native tongue. Hearth’s Warming Eve. OPCOM Central had insisted he make the trip up to Stalliongrad on Hearth’s Warming Eve. Holiday pageantry, décor, and Stallian spirit seemed to permeate the very air, much like the falling snow outside. The captain had largely tuned out the hustle and bustle of the city, preferring instead to focus on the task he had been given. Having been trained as a marksman, focusing was his specialty. Despite this, Fletcher found it difficult to concentrate. Stalliongrad was an evocative city. Everywhere a pony went, there were sights, sounds, smells, textures, and in some venues, tastes. To a unicorn, it was even more scintillating; the very aetheric ley lines seemed different, especially in the Island District, the gleaming jewel in Stalliongrad’s crown. Further compounding the matter was time. It had been five years since his last visit. Five years since the last tour and five years since the grand game that Fletcher played had fundamentally changed. Despite the passage of time, there were still memories here—some good, some bad, all powerful. Fletcher smirked. The voice was immediately familiar. Speaking Common thick with the Stallian accent, the mare’s speech was husky and weathered but fully of vitality. Pink-coated with violet and teal-streaked mane and tail, Master Sergeant Novaya simultaneously oozed femininity and embodied the tough fighting spirit of the Stallian Guard. Her cutie mark, a blue gentian flower superimposed on an eight-pointed star exemplified the fusion of both to a tee. Curvy, but far from portly, Novaya was able to take her share of hardships right alongside the stallions of the VSS elite. “You haven’t changed one bit, Novaya,” Fletcher chuckled. “You flatter me, Sergeant,” Fletcher replied, plinking a few bits on the counter for his gin drink. Before he knew it, Novaya embraced him, lifting him off the cushion and squeezing him in a big bear hug as she stood. Fletcher blustered for a moment before he realized his social faux pas. The captain returned his friend’s embrace, kissing her once on each cheek as was customary for greeting close friends and family. “Have you forgotten the greetings already?” the pink unicorn laughed, slipping back into Stallian. The two unicorns shared a laugh, with Novaya quickly chatting up the bartender as he went to retrieve a fresh bottle of vodka from the ice box—warm, friendly smalltalk; the kind that the Order team and ISU ponies all enjoyed in the tavern after a mission or drill. The barkeep worked swiftly, returning with two shot glasses, each filled to the brim with Stalliongrad’s finest spirits. “Only the finest in all Stalliongrad...” Novaya said, taking her glass from the barkeep and floating it in the air between them. “... for the finest in all Stalliongrad!” Fletcher finished the toast, knocking his glass against Novaya’s before downing his share of the local firewater. Fletcher’s eyes watered and his throat burned at the taste. Stallianoya had a harsh flavor with a shockingly smooth texture, akin to drinking a razor blade. Its pungency was that of rubbing alcohol, but thankfully with a sweeter finish owing to its peculiar distilling process. The captain hacked and hemmed at its intensity, choking on the fumes as Novaya clapped him on the back with a hoof. Fletcher sniffed at Novaya’s mock consternation and her equally jagged joke. The warm feeling in his belly had finally subsided and the cold austerity of his task had returned. Why of all times to run into her did it have to be now? Fletcher liked Novaya as a friend, but she was the embodiment of everything Stallian and sometimes—make that a lot of the time—it was not what Canterlot would call professional. Molot, the local name for Novaya’s unit, ISU-143 of the Stallian Guard, had a fierce reputation as the fighting elite of Stalliongrad’s guard forces. Translating roughly to “sledgehammer” in common, the name was highly appropriate for a guard detachment that spent much of its time searching airships, apprehending criminals, and seizing contraband. She brings a bit of the one-four-three with her wherever she goes, Fletcher mused. But Strazha would probably hate her guts. “Canterlot does things differently, Novaya,” Fletcher said. Fletcher frowned, mentally facehoofing at where the conversation was going. Yes, baring your soul to a friend, especially one who you had not seen in a long time, was customary. But Cadenza’s departure was still very much an event that he preferred not to revisit. Why did Novaya have to ask now of all times? “Yes about that…” Fletcher trailed off, exaggerating the tone of disapproval in his voice and hoping that Novaya would get the hint. Novaya was clearly taken aback, recoiling at the sudden increase in volume. Even above the usual chatter of the bar, Fletcher’s voice seemed to linger, drawing wary glances from the bartender and several of the patrons at nearby tables. Fletcher bruxed his teeth. This was not what he had planned, but it seemed the only way to get through Novaya’s bullishness. Novaya did not avert her gaze as he thought she would. Instead, she merely put her hoof on his and maintained eye contact. Fletcher sighed, closing his eyes for a moment. Novaya had always been transparent. Boisterous, vocal, always wearing her heart on her saddle; it was just the way she was. It made her ideal for the one-four-three; the ponies under her command trusted her, her quarry feared her. Tetushka, the younger ones called her—Auntie Novaya. Looking back into her eyes, Fletcher could see the wounds that his piercing remarks had left. By profession, Fletcher was not a sentimental stallion. He was the bridge between the military and the spies. He guided the things that went bump in the night. An operator such as himself could not afford sentiment and silly frivolous pursuits. Yet, here he was. His apology hung in the air, suspended in space like a single wind-borne flake caught in the currents that ran through the streets of Ostrov’s forest of glass and steel. The moments stretched uncomfortably. Surely, she had heard him? Surely this would end with neither a cold shoulder nor a hoof to the face? Finally, Novaya broke the silence, drawing an ever so soft sigh of relief from Fletcher. She was right. Friends—comrades—looked out for their own. It wasn’t just the military way of doing things, it was the Equestrian way. Fletcher suppressed a frown. Had he really forgotten? Had it really taken 5 years of service with V Order for him to realize his own shortcomings? Novaya’s words gave Fletcher pause. On the one hoof, he was genuinely moved by her show of emotion and camaraderie. On the other, his cheeks were very obviously burning at what would have been an embarrassing display of sentimentality in other circles farther south. But this was Stalliongrad. What did the spooks in Canterlot care? Fletcher embraced Novaya. The pink unicorn winked at Fletcher before slipping away amongst the tables and the fresh patrons entering the Iron Saddle. For what seemed like an eternity, Fletcher continued to watch the door, even though he knew Novaya was long gone. He almost didn’t notice the ruddy red warhorse arriving at the bar, taking up the seat that Novaya had just vacated. “Has she melted your cold heart?” the Colonel asked with his trademark nonchalance. “Who said that only Windigos ran in my veins?” Fletcher retorted with a smug grin. Nodding, Aristotle slipped away, returning to the booth with refilled pint glass, leaving Fletcher to wait for his charge alone. Business would always be business. Operations would always be operations. But behind the business, behind the operations, behind the Shroud, were ponies. Sometimes, even Fletcher needed a reminder of that, a reminder that could only come from a friend. Autumn. Crisp air, falling leaves, bountiful colors, blue skies, and cold breeze all wafted together in a slowly swirling cornucopia of sensation. Cobbles. Cold, hard stone held to cold, wet mud with cold, grey concrete and slowly crumbling mortar. Clip-Clop. Pedestrian traffic traversed the cobbles, ticking out a steady rhythm of hoof beats punctuated with the jingles of harness hardware and the burbling of cart wheels on hewn stone. Leaves. Brown and gold and ruddy red fluttered about, borne on chill winds funneled through the streets and alleyways of Canterlot by capricious zephyrs, flung from the cobbles of the street onto the patios of a local coffee shop. A single golden leaf flitted up as if given wings, borne by a sudden updraft against the curb. Around and around it went, perambulating about the concrete patio, brushing up against canvas umbrellas perched on glass and iron tables. It danced, it floated, it dangled, and finally lingered for just a moment, caught on an updraft, before lazily spiraling to the table. The leaf split a single wisp of steam from the heated mug on the table as it drifted down on an imminent collision course with the glossy chartreuse surface of the liquid inside. Lower and lower it drifted, now just inches away. Suddenly, the leaf stopped, as if frozen in time. The wind continued to blow around it, the wisps of steam flitted and flowed below it, but the leaf itself was held fast, isolated from the material world by the flickering, sparkling azure glow of the immaterium. The aetheric field shifted with practiced precision, spinning the leaf about its axes, as if it were having its every nuance scanned and memorized by some arcane cogitator. But just as quickly as it had come, the field vanished, releasing the leaf to float off once more to wherever it pleased. Captain Fletcher multitasked, simultaneously releasing the leaf and taking a sip of his steaming mug of gunpowder tea while methodically penning in the numbers in Equestria Daily’s number grid puzzle. As he set his mug down on the table, he stifled a yawn. Before the newspaper had even touched the tabletop, the number puzzle was complete—flawlessly so. There are only a finite number of patterns from the printers, all from finite combinations and finite solutions, packaged in an easy to calculate format. The Captain thought. The strikingly blue unicorn idly fiddled with his scarf and saddlebag buckles as he half-heartedly scanned the newspaper headlines for anything of interest. As usual, there was very little. Open source intel just doesn’t cut it anymore, he mused. But why bring work with me on my day off? As he sipped his tea, Fletcher closed his eyes, hearing the faint resonant strains of jazz music flowing through the open doors of the café. When he opened his eyes, it was dark outside. The streets of Canterlot were alive. Ponies shuffled to and fro, many in uniform and quite a few of those with fillies at their side. The fairie-lanterns above were aglow in all their aetheric splendor, casting dancing golden lights across the cobbles and patios in that little corner of the Equestrian capital. Picking up his stein of Hoofington Pale Ale, Fletcher ambled into the café proper, which at night converted into a bar. Between the clumps of multicolored ponies he weaved, his gait never faltering and his magic holding the pewter stein steady. A corner of the bar had been cleared as a makeshift dance floor with a wooden riser erected behind to support a multi-piece band. Jazz music continued to flow, titillating the ears and softening the soul. “I was wondering when you would show,” a sultry voice called from behind. Without looking, Fletcher stepped backwards, taking a seat at a seemingly unoccupied table. A cream-colored unicorn mare slid around the table to Fletcher’s side, finally revealing her face as she leaned into the dim light of the venue, giggling as she spoke. The lady unicorn settled into the seat next to Fletcher, subtly brushing his leg with her tail as she did. A drink smelling strongly of gin floated lazily next to her head, sparkling in the dull fluorescence of her aetheric glow. She’s a piece of work herself. Fletcher remarked. Cadenza feigned disinterest, but Fletcher could read her like an open book. That ever so faint blush, the lazy circles she traced with her hoof on the table, the furtive glances up and down his uniform— they all screamed attraction. “I don’t give horse apples about your job,” Cadenza said candidly, idly putting a displaced shock of her auburn mane back in place with a hoof. Striking. The Captain thought, idly sipping his ale. Cadenza had a girlish charm about her, but the way she moved, conversed, and carried herself marked her as anything but a naïve, foolish school filly. She handled her liquor and she handled her stallions. Cadenza was a walking conundrum, a single fish swimming through a pool of sharks without a care in the world. The Captain stood up, extending a hoof to Cadenza. The unicorn mare giggled at his straightforwardness and lightly touched it as she stood up before settling down on all fours for the walk to the dance floor. As she passed, Cadenza floated her gin glass to a nearby table, casually sliding it across the polished cherry to another patron, much to their surprise. The band kicked into a lively bop tune, giving them ample reason to cut loose on the dance floor. In spite of her refinement as a conservatory filly, Cadenza moved with grace, passion, and aplomb, daring Fletcher to keep up with her. The REA soldier smiled as he kept up just fine. The race was on and he intended on coming out the victor. Alternating between shuffling his own hooves and matching hooves with Cadenza, Fletcher stepped, slid, and swung the mare around him, both of them laughing with glee. One song ran into another, and soon they found themselves locked cheek to cheek, dancing to a slow song. “So what do you think will come of this?” Cadenza whispered. “As did I,” the lady unicorn whispered, gently nuzzling his cheek. As if on cue, the rhythm section segued into yet another slow song, allowing the two unicorns to linger in their embrace a bit longer. Though he was far from intoxicated, Fletcher gradually felt his awareness wane as the song went on. The background noise of patrons faded to muted babbling, the slow strobe of the ceiling fan blades against the café lights blurred to mottled watercolors, and the once sharp clip-clops of his hooves on hardwood flooring echoed against the aether around them. “Not one to drag your hooves, I see,” Fletcher chuckled. “Perhaps, but I’m just a needy Conservatory filly if it’s unrequited,” Cadenza shrugged, replying with her trademark candor. “… some place to be?” The gruff masculine voice snapped Fletcher out of his reverie. “I’m sorry?” he replied, simultaneously irritated and slightly embarrassed at his lapse of awareness. “No, nothing’s wrong,” Fletcher replied, looking at the bottom of his now-empty mug. He floated the mug back to the bussing bin and pulled enough bits out of his saddlebag to leave a generous tip. As he did, he retrieved a velvet pouch stowed within. The REA soldier stepped back outside onto the patio, tightening his scarf against the frosty breeze. Borne by aether, the pouch untied itself, producing a ring of white metal, cold to the touch, exceptionally light, and shining like polished silver. Fletcher gently gripped it with the aether, spinning the ring about its axes and admiring every square inch of it. “Still as strong as the day you were forged,” he whispered, a twinge of sadness creeping into his voice. The blue unicorn quietly slipped the ring back into its pouch and reverently replaced it in his saddlebag. Fletcher looked up to the sky, an open blue sky dotted only by a few puffy cotton-ball clouds and broken by the ruddy colors of dried leaves flowing between the alabaster spires of the greatest of Equestrian cities. He took a deep breath of the crisp air, murmuring softly as he stepped off the patio and onto the cobbled thoroughfare. I've always viewed My Little Pony in the light of a fantasy world skinned with pastel ponies and fantastical magic. I guess this explains why I'm so readily willing to introduce concepts more familiar to us like the military, the knightly virtues, unscrupulous characters, and the clashes between good and evil. I like juggling those concepts in the stories I weave and the worlds I build. It's hardwired into my writing style and I don't think I'll be getting rid of it anytime soon. Still, for the record, I don't aim on creating a grimdark world of corrupted childhood wishes and dead ponies. That's the last thing I want to do. FiM is my own little internet haven against a decidedly grimdark real world steeped in conflict, prejudice, and tears. I've been fascinated with the character of Celestia ever since I first saw Friendship is Magic. Here was this being with godlike power and dictatorial executive authority who ruled benevolently and did everything in her power to protect her people. I could draw countless Warhammer analogies and pen endless amounts of fanfiction from that concept alone. The one defining trait, however, was Celestia's benevolence. Somehow, the ponies were able to exist in peace with each other and whatever races came from the surrounding lands under Celestia's guidance. This is in stark contrast with the way our human world works. So here I am, applying for Celestia Invictus as an RP character. I have mixed feelings about doing so. I see so much story potential for her. She has lived countless lifetimes, experienced the range of emotions from joy to despair, and conquered life and death as monarch and goddess. Somewhere in the experience must be great stories. This depth of the character is a double-edged sword. It is not the darkness I fear. I am sure that somewhere deep in Celestia's history, she has been forced to do some awful things. I am ready to write for that. As always, my issue seems to be balance. Celestia is a complex character with many facets. She is conqueror, empress, teacher, judicator, and executor, but also pony. She has a corporeal form just like every other pony and is subject to the same constraints of time and space. She feels emotion, is troubled by hard decisions, and experiences joy when things go wonderfully. I want to be able to convey this depth while still keeping within the spirit of the show. I love my serious Celestia, but she can't be "srs bizniss" all the time. I'll continue to work on the application all week as I get time and inspiration. There's so much I want to say, but not all of it is relevant to the application. If the staff gives me the time, I would like to see the Discord arc resolved so I can add that to my rendition. Unless I'm prodded to hurry up, I'm going to take my time on this. Celestia deserves it.